Good morning! Today we are talking about quick, easy lunch ideas that are actually healthy for you but aren't too involved. I don't know about you guys, but I am ALWAYS on the go. It's either bouncing between classes and work or my internship through the summer... just go, go, go. I am usually pretty good about prepping and meal planning for our dinners and having something quick in the house for breakfast but I tend to forget about lunch. In undergrad, my lunch was usually a thing of Easy Mac or Taco Bell... it was quick but definitely not healthy. As I get older, I am more conscious of my health and during law school, I realized just how unhealthy my lunch habits were. While in law school, I have pretty much no money to eat out so I pack my lunch 99% of the time. 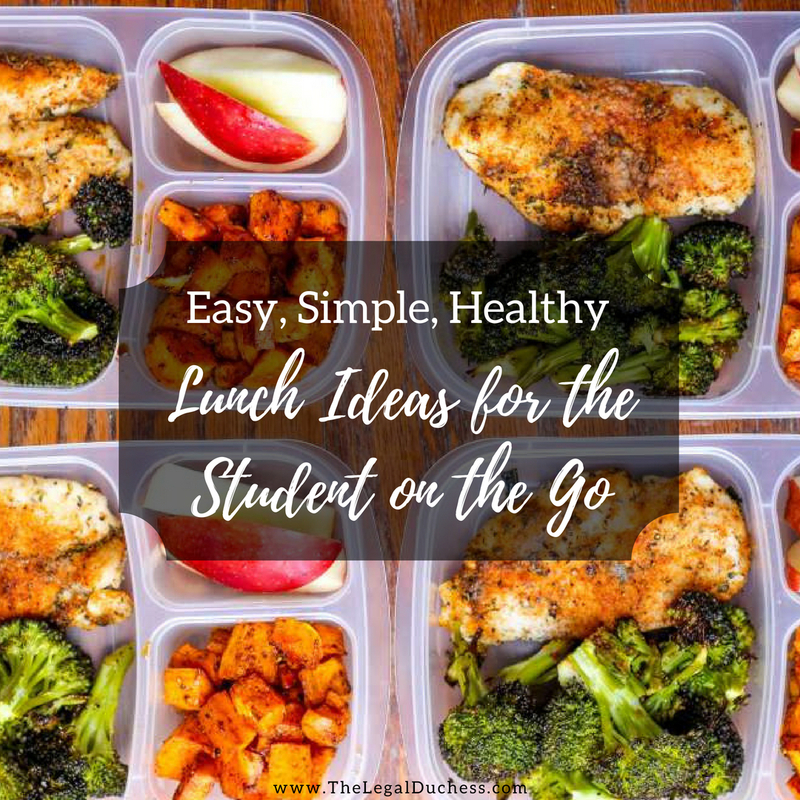 It has taken a while but I have finally figured out some good lunch ideas for when I am on the go and need something quick without sacrificing my health. So here they are!! Remember when I said I am pretty good about planning healthy dinners? Well, sometimes that takes care of the lunch problem too. I like to make a little extra of whatever was for dinner and I take those leftovers as my lunch. I just throw it in a Tupperware and go on my merry way. Simple, quick, healthy and easy lunch! And it only requires cooking once for multiple meals! Win-win! 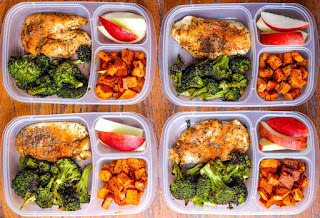 I really like these Tupperware containers because I can take a few things in one container; for example, if I made grilled chicken and green beans for dinner, I can make a little extra and keep it in these containers with compartments (click photo to shop). Salad is a simple and healthy lunch. I like to prep a few at a time so I can just grab them out of the fridge when I need them. 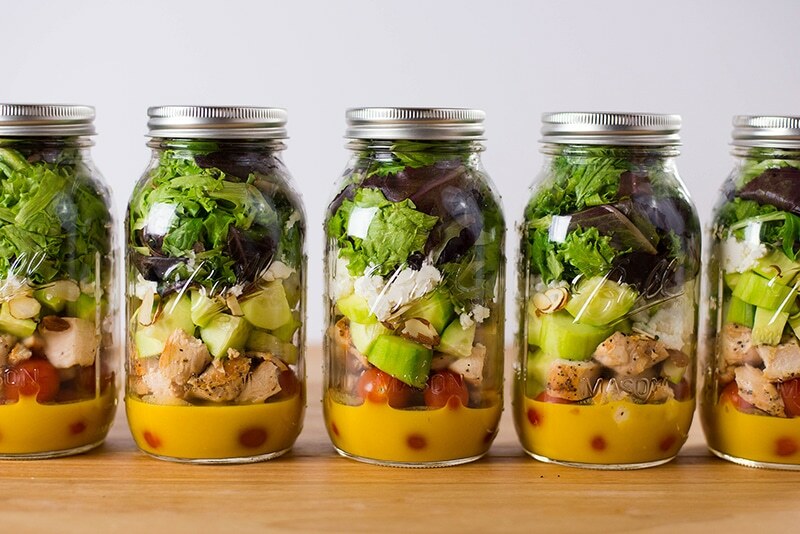 Salad is healthy and refreshing for lunch and perfect for someone on the go. You can add as much to the salad as you want to fit your tastes; personally, I like to top my salad with cucumbers, carrots, sunflower seeds, sliced almonds and Skinny Girl dressing. 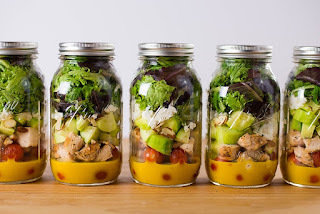 Here are a few of my favorite recipes for Mason Jar Salad's! You can also pick up Mason Jar's super cheap on Amazon! During the Fall and Winter, this is my favorite way to prep a bunch of lunches. 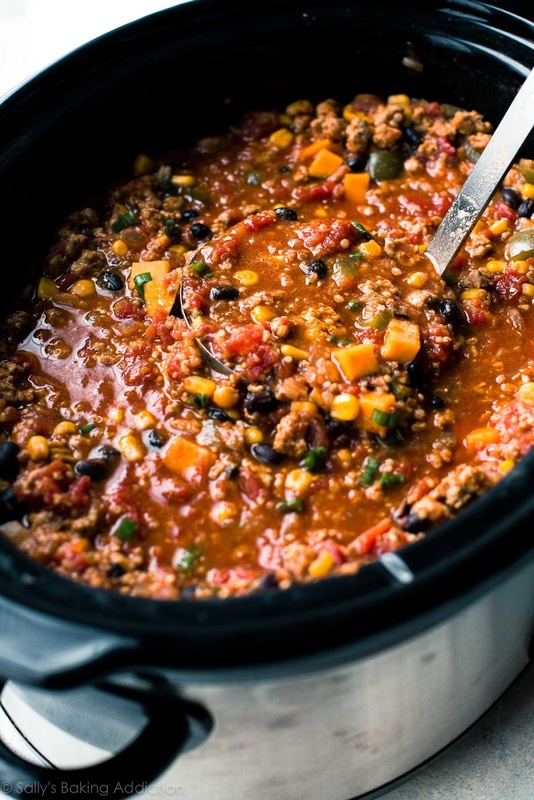 I love to make a big pot of Chili from scratch (this is healthier because I can use fresh and unprocessed ingredients) on a Sunday afternoon, portion it out into Tupperware and I have lunch all week! It's warm, filling, hearty and not unhealthy. I make up a batch of cornbread muffins and take one with my lunch each day and you can prepare other Chili toppings like cheese and sour cream in little Tupperware dishes as well. It's my favorite way to do lunches through the Fall and Winter. There are so many ways to make Chili so you can be creative and change it up regularly. I will also do the same thing with other soups though Chili is by far my favorite!! Basically the healthy alternative to packing a sandwich! 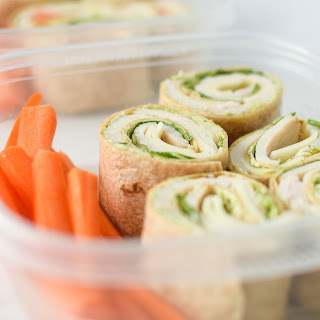 Get some healthy wraps, some lunch meat, and cheese or shredded chicken (honestly whatever floats your boat can go in a wrap) and wrap it up! I like to stick a toothpick through it so it stays wrapped up. If you like a dressing or condiment on your wrap, make sure to pack that separately and add it before eating or else your wrap will be soggy (eww).